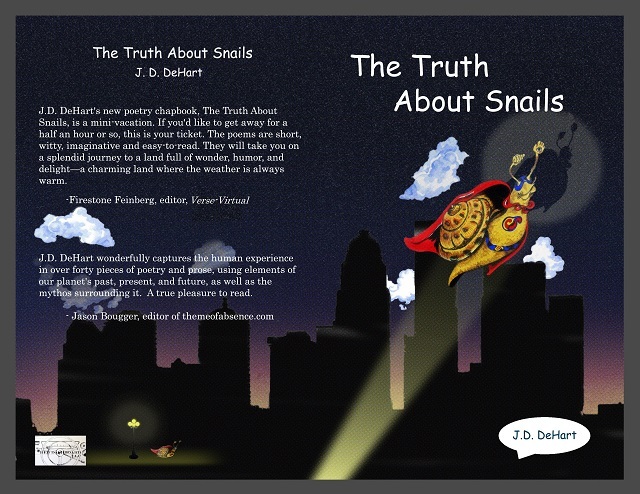 JD DeHart’s new poetry chapbook, The Truth About Snails, is a mini-vacation. If you’d like to get away for a half an hour or so, this is your ticket. The poems are short, witty, imaginative and easy-to-read. They will take you on a splendid journey to a land full of wonder, humor, and delight – a charming land where the weather is always warm.